​In this article, we short-list the top full and twin sized mattresses that are priced under $500. Our aim is to provide you with the essential information needed for you to decide which is the the best mattress within your price range. How long we sleep and how comfortably we sleep is highly important to our health and happiness. It's important to take the time to determine if you are sleeping on a mattress that is providing you with a good night of sleep or if you should invest in a new one. The perfect balance of softness and hardness of the mattress for the sleepers is very important with a good price. To help you in your search for a perfect sleep, we have compiled the best mattresses for under $500. Unlike some memory foam mattresses, it doesn't get warm in the summer, which is a huge plus while still providing that same cushioned comfort you know and love. There is an added cooling gel and graphite ingredient to contribute to the coolness feel. It isn't as firm as some other mattresses on our list, but for those who prefer a bit more softness in their mattress, it's the ideal fit. Because it has a 3” adaptive foam top layer, there is enough softness while experiencing support as the body weight is distributed evenly. The mattress material is made of high-density high-quality polyurethane foam that is certified by CertiPUR-US. This means that the foam is certified to be free from known harmful chemicals and carcinogens, heavy metals, phthalates, and formaldehyde. 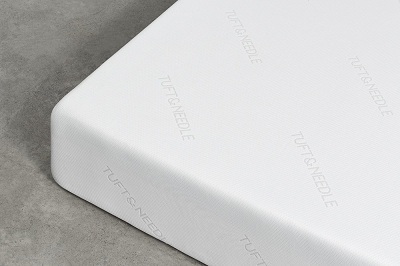 The Tuft and Needle mattress has a 100- night sleep trial, which means the company has confidence in their products. This is a good opportunity to try out to see if the mattress works for you. It even comes with a 10- year warranty cover. For an added protection to the mattress, one mattress protector stands out. The SafeRest Premium Hypoallergenic Waterproof Mattress Protector will be very helpful for people prone to allergies, and for fluid accidents. 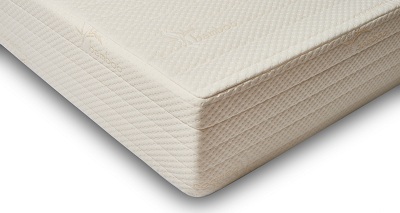 The mattress has a 2.5” SureTemp memory foam top layer with a 9.5” deep support bottom layer. We’ve found that it still has enough firmness even with the softness of the top part. The contouring memory foam is a plus as well. The mattress arrives easy to set up and because it costs under $500, you will be getting a great deal for this. If you are concerned about the mattress moving too much, this might be the right choice. It stays steady even with the tossing and turning while sleeping, making it a good option for couples. It comes with a choice of a smooth poly-cotton blend cover, or quilted cover for the winter season. This product may be a great option for someone that prefers medium firmness. We liked that a lot of detail went into the design of this product, as the different layer material used in the mattress gives great comfort. The top cover is lined with New Zealand wool, which removes odor and moisture, and at the same time can regulate temperature. This bamboo derived rayon cover is removable and recommended to spot clean only. A good thing to note is that wool easily shrinks in a washer or dryer. Its 2.5” gel memory foam layer adds to the contouring effect when weight is placed on the mattress. The middle portion has a ventilated airflow layer that gives the cooling effect. It can evenly distribute heat through the mattress to avoid any hot spots that lead to tossing and turning. 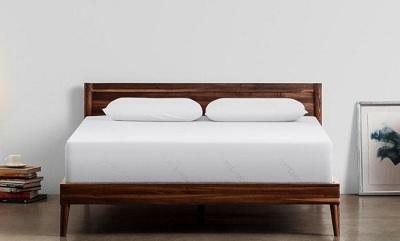 Another highlight of the Brentwood Home Bamboo Mattress is that it doesn't have the strong smell that most memory foam mattresses usually come with. 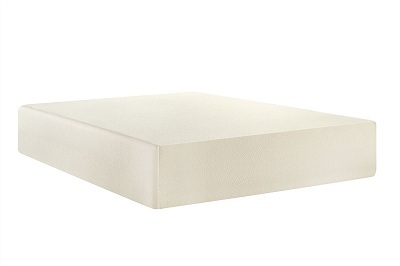 The 3.5” top layer memory foam conforms to the body’s shape that is why it’s very comfortable. Its lower portion of 8.5” high-density foam is the part that gives the support to prevent to sogginess. We find that the weight is distributed evenly and good support for the spine. Due to its firmness, couples won't feel movement as much as they could with a spring mattress or a poorer quality memory foam mattress. Some people who are used to lying on their side or who like a little more softness in their mattress, may not like how firm it is, but it works well for back sleepers. 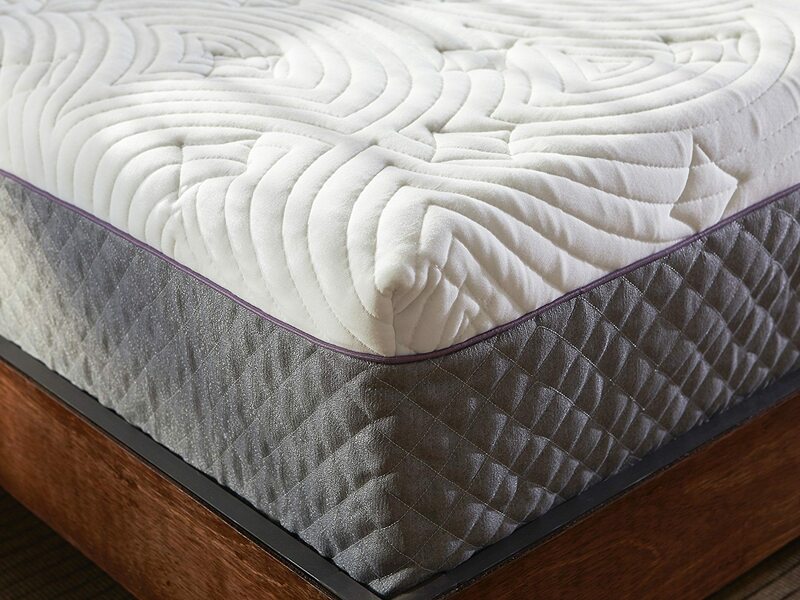 The Signature Sleep mattress is also made out of eco-friendly and breathable materials. Its soft mattress cover is also made of breathable knit fabric. It meets federal flammability standard 16 CFR 1633 open flame mattress test, which means the mattress will generate only a smaller size fire with a slower growth rate, and so reducing the chance of flashover occurring. 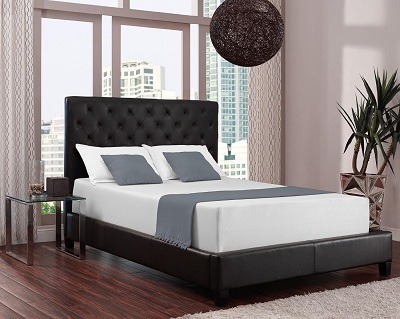 When looking for a mattress no matter what the price, you want to make sure that you find one that will last and provide you with a good sleep. After all, that is why you are mattress shopping in the first place. Are you on the taller or larger side of the spectrum? Are you buying the mattress for only you or with your partner? Do you like just the right amount of cushion where you can sink in a little? Or do you need firmness to ensure that you have the support you need for your achy joints? Do you need to sleep on it immediately or can you wait a couple of days upon its arrival? This matters as memory foam mattresses take time to expand to their full size. It's important to allow it to expand completely before use. Do you tend to get hot very easily and during the summer do you find it unbearable to sleep on a mattress that gets warm? How do you sleep? On your side? On your back? On your stomach? Understand exactly what you are looking for can help you to browse through features and understand whether it is the best mattress for you. A mattress that promises to provide firmness and also allows for movement without disrupting could be perfect for you and your spouse, whereas a mattress that may soften with too much weight may not be ideal for a couple or a larger person. Make sure to take note of the dimension of the mattress to know which size to choose from. If you are sensitive to any distinct smell, try to get the mattress to air out for one day once you receive your order. Some would even use their vacuum to remove the odor. Set it at the lowest suction setting and it should do the work. If you are sensitive to heat and don't cherish the idea of a mattress that gets warm, you will want to go with one that has a cooling effect. Especially if you live in a state that gets hot in the summer, the air ventilation function of a mattress is very appealing. A combined pillow with cooling effect will also help. Take into account that the way you sleep also has an effect on how comfortable a mattress may be. Whether you are a side, back, or stomach sleeper, take some time to consider the thickness and level of softness of a mattress, add in also a compatible contouring pillow. When you find a mattress that has all the features that you know you want AND the price is perfect, don't hesitate, it could be the one that you've been looking for. 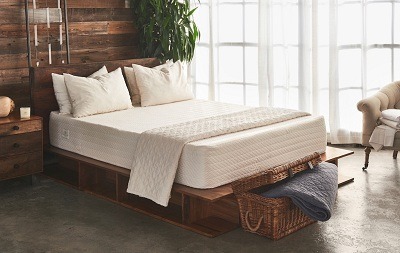 It's the cherry on top when you can spend less for top quality, especially when it comes to your sleep. Choosing the mattress that will become your new best friend takes time and research, but understanding your body and what works for you will help you to make the decision that is best for you. Finding the best mattress under $500 is possible. You may not have been convinced about memory foam mattresses in the past, but it's a matter of finding top-quality mattresses, such as the ones mentioned above. 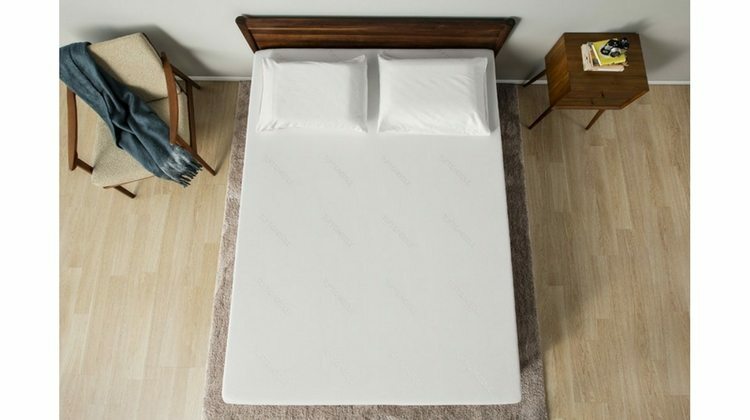 Our top choice from amongst the mattresses on our list would have to be the Tuft & Needle Twin XL Mattress, for its excellent price, its comfortable balance of firm and soft, and that it doesn't get hot in warm months. Some people don't like the extreme firmness that can be found in some memory foam mattresses, and that is one reason why the Tuft & Needle Twin XL Mattress could be an excellent option for anyone looking for medium firmness.